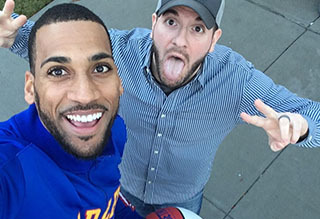 Frankie interviews #30 of The Harlem Globetrotters, Zeus McClurkin. Listen as they talk about what school in NC that he played for, his roof top shot in Raleigh, his favorite music, his Guiness World Records, the advice he has for young athletes and more! The Harlem Globetrotters will be playing at the PNC Arena Sunday Feb. 11th 2018 at 3pm! Tickets available at harlemglobetrotters.com, ticketmaster.com and the PNC Arena box office.